Tiger Woods has won more money playing golf than any other golfer in history. Here is a list of the most money won in one year by Tiger Woods playing golf. The money shown here is only for playing golf. It does not include any endorsement money or appearance fee money. It's the money Tiger Woods actually won playing golf in tournaments and does include FedEx Cup Playoff money since that money is directly won by results on the golf course. Tiger Woods does earn some $35 million a year from the companies that endorse him. Tiger Woods also used to get millions of dollars in appearance fee money. None of that money is included here since it is not directly earned on the golf course. All years in which Tiger Woods earned at least $10 million playing golf are listed. 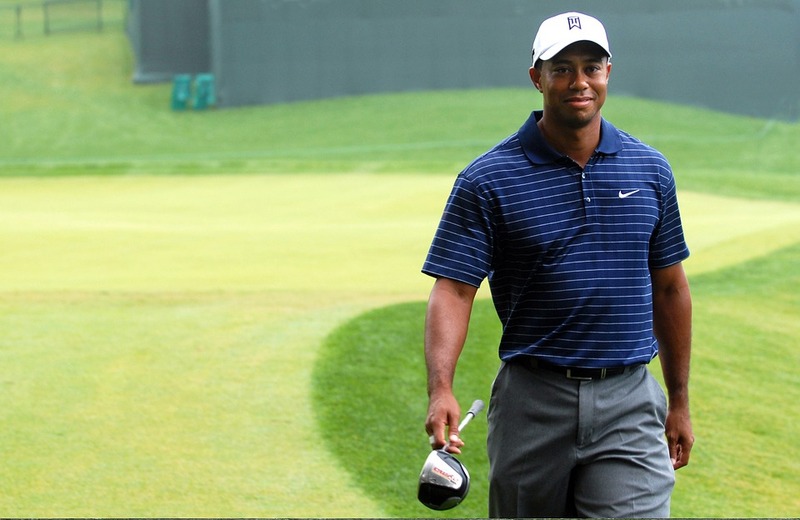 Three of the years in which Tiger Woods earned over $10 million playing golf came before the FedEx Cup was created. Tiger Woods does not hold the record for most money won by one golfer in one year. He does have the 2nd and 3rd years for most money won in one year. See Most Money Won by One Golfer in One Year to see who holds the record and how much money it is. In the three years Tiger Woods earned over $10 million prior to the FedEx Cup even if he won the FedEx Cup he would not have made enough money to be number one. In fairness, the prize money for golf tournaments is considerably higher today than when Tiger Woods first started playing and for his most successful years. If the prize money was the same in 2007 or 2009, when Tiger Woods won the FedEx Cup, as it is today, Tiger Woods would have won the most money by one golfer in one year. During the calendar year 2007, Tiger Woods won or earned what was at the time the most ever money by one golfer in one year of $22.4 million which is now the second most ever won by a golfer in one year. In 2006, Tiger Woods won or earned $13 million. Tiger made $9.94 million on the PGA Tour and also earned another $3.1 million playing on the European Tour and in unofficial PGA events. Tiger Woods wins in 2006 included the Buick Invitational, Doral, British Open, Buick Open, PGA Championship, WGC-Bridgestone, Deutsche Bank Championship and WGC-American Express Championship. Tiger also won the Target World Challenge unofficial money event and the Dubai Desert Classic on the European Tour. In 2005, Tiger Woods earned or won $12.2 million playing golf. Tiger made $10.63 million on the PGA Tour and also earned another $1.53 million in unofficial money events and on the European Tour and Japan Golf Tour. Tiger Woods wins in 2005 were Buick Invitational, Doral, the Masters, British Open, WGC-NEC Invitational and the WGC-American Express Championship. Tiger Woods also won the Dunlop Phoenix on the Japan Golf Tour. In 2013, Tiger Woods won or earned $11.94 million playing golf. That included $8.6 million on the PGA Tour, another $386,000 playing overseas plus a $3 million FedEx Cup bonus. In 2000, Tiger Woods won or earned $9.2 million on the PGA Tour and he also won or earned another $1.9 million playing golf overseas.